Fresh off the successful launch of the Blinn College District’s partnership at The Texas A&M University System’s RELLIS Campus and record enrollment for the Fall semester, Blinn trustees Atwood Kenjura and David Sommer are ready to leave the board in good hands. Kenjura and Sommer announced during Tuesday’s meeting that they will not run for re-election to the Blinn Board of Trustees. During his tenure on the board, Kenjura has served seven terms as Board Chair, four as Vice-Chair, and two as Secretary. Sommer served as Board Chair from 2015-2017 and has been Board Secretary since May 2017. A lifelong resident of Brenham and a 1965 graduate of Blinn College, Kenjura is the pharmacist and owner of Kenjura Pharmacy located in downtown Brenham. He graduated from the University of Houston College of Pharmacy in 1968, and has been an active member in numerous organizations, including the Texas Pharmacy Association Governmental Affairs Committee; the Brazos Valley Pharmacy Association, where he previously served as president; the National Association of Community Pharmacies; the United Drug Association; and the American Pharmaceutical Association. An active community leader, Kenjura also has served as Board Director for the Brenham Rotary Club, the Washington County Chamber of Commerce, Washington County Little League, Brenham Booster Club, and Trinity Medical Center, and as president of the Brenham Country Club. Kenjura’s other civic involvements include the Brenham Economic Development Foundation, the Washington County Heritage Society, the Washington County Cancer Society, and the Brenham Independent School District Building Committee. He was named to the Blinn College Alumni and Friends Hall of Honor in 1998 and was named man of the year by the Washington County Chamber of Commerce in 2011. A Brenham native and Blinn College honors graduate, Sommer graduated from Texas A&M University with a Bachelor of Business Administration degree in accounting. He began his career with Germania Insurance as an accountant. He was appointed as Secretary-Treasurer in March 1994, and was elected as President and Chairman of the Board in 2000. Throughout his career, he was very active in the insurance industry, serving on several insurance associations, including Southwestern Insurance Information Service, the Texas Association of Mutual Insurance Companies, and the National Association of Mutual Insurance Companies. 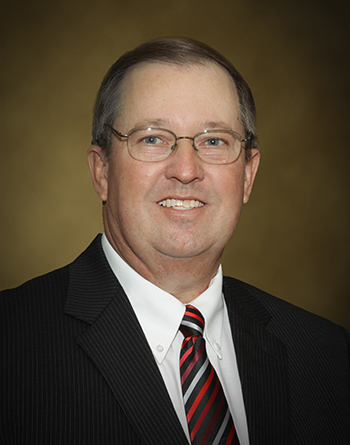 Sommer served on the Blinn College Foundation Board, where he held leadership roles as Board Chairman, Treasurer, and Chair of the Finance Committee. In 2010, he was inducted into the Blinn College Hall of Honor for his commitment to Blinn College and his community. 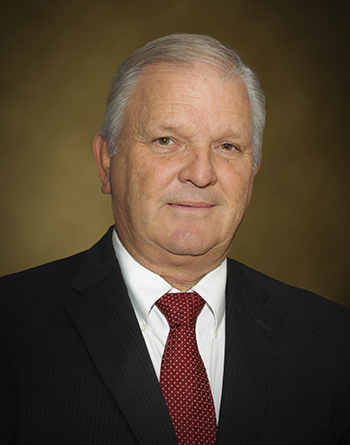 He retired in 2011 and was appointed to the Blinn Board of Trustees later that year. Sommer has been active in local civic organizations as a member of the Washington County Chamber of Commerce Board, the Economic Development Foundation, and as a board member for Hospice Brazos Valley and Camp For All.